I have worked in the Pharmaceutical industry for over 25 years helping to bring new drugs to the market. I came to the conclusion that while medication was helpful for many conditions, for some problems treatments were inadequate and had unwanted side-effects. I couldn’t help but feel that we weren’t coping very well with the increasing problems of anxiety and depression within our society. It seemed to me that hypnotherapy would be a useful, holistic treatment to work alongside the medical therapies to help reduce some of these problems. SolutionFocused Hypnotherapy appealed to me because it is science-based and focuses on the way the brain can create new pathways and new ways of thinking. I had been interested in hypnotherapy for a number of years and had benefited from the therapy myself on two occasions. With the family grown up, I felt it was time to follow that interest and train to become a therapist myself. 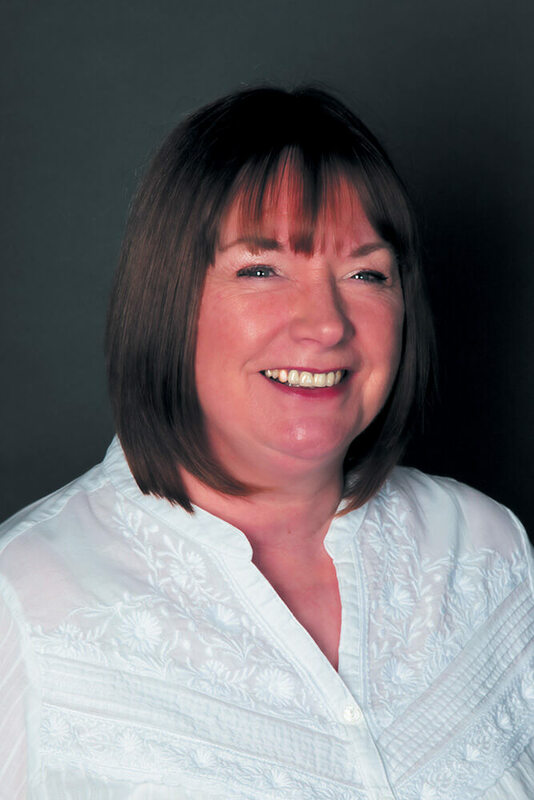 I joined a course in Solution Focused Hypnotherapy, run by the prestigious Clifton Practice in Manchester, and became qualified as a Solution Focused Clinical Hypnotherapist and Psychotherapist. I’m now an Assistant Lecturer on this same course in Manchester and in the process of setting up a new satellite school in Sheffield where I’ll be Senior Lecturer, from September 2019. I am a qualified Solution Focused Hypnotherapy Supervisor with a Level 5 Diploma. I currently offer group supervision every two months in Manchester or monthly one-to-one sessions by phone, by Skype/Zoom or in person. Solution Focused supervision is suitable for therapists from any modality. Supervision is a requirement of membership of most professional organisations, and registration with the CNHC. 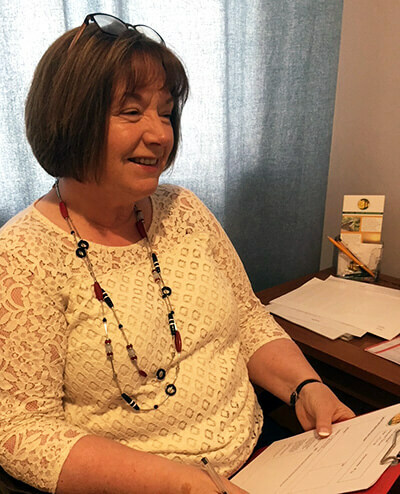 It offers the therapist a place to discuss clients in confidence and enables them to identify strengths and areas in their work that require improvement. It is educational, supportive, sociable and fun. Please contact me for details on group supervision sessions and prices. I have reduced prices for newly qualified therapists just starting their businesses. I am currently working towards the Advanced Practitioner Diploma. During training, I have developed skills in the areas of Cognitive Behavioural Therapy, Solution Focused Brief Therapy and Neuro-Linguistic Programming. 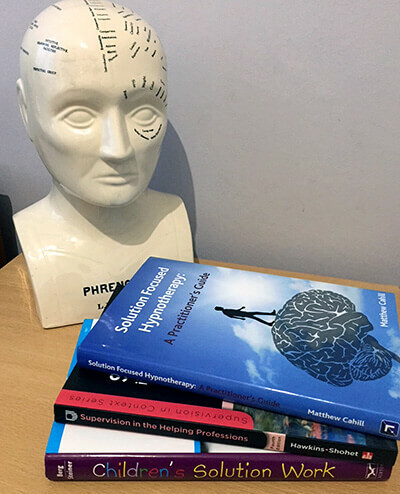 As part of my Continuing Professional Development, I regularly attend training courses which support my ongoing knowledge of the research around clinical hypnotherapy and developments in neuroscience. As required by the associate bodies, I also attends regular supervision and I am myself a qualified Solution Focused supervisor.